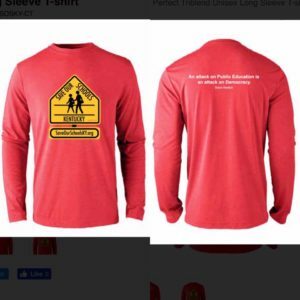 Participate in our fundraiser by purchasing a short sleeve or long sleeve t-shirt! 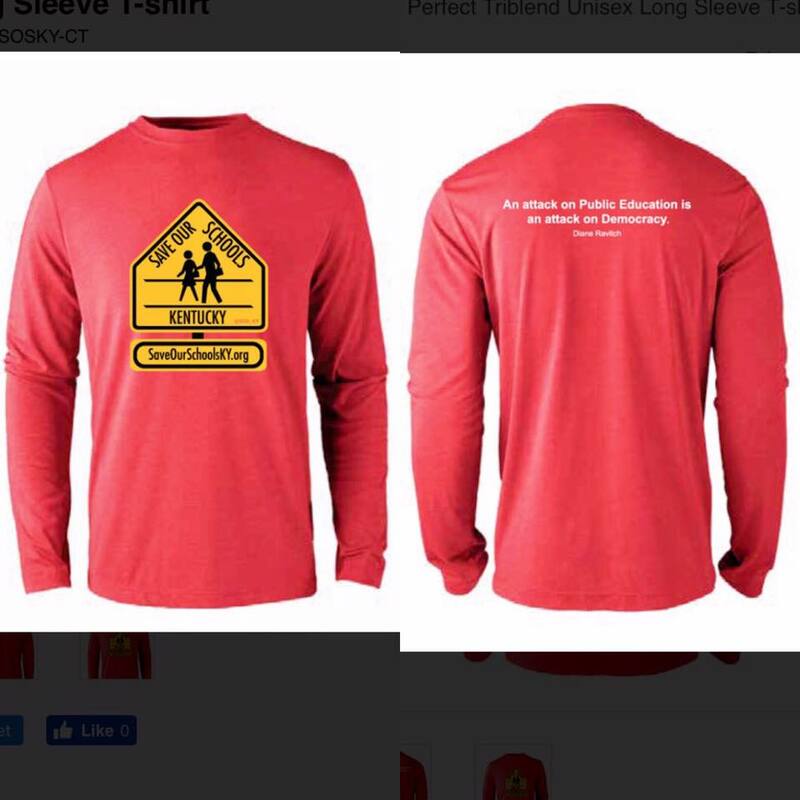 Buy your Save Our Schools Kentucky shirt here before February 15th. So you can “Wear Red for Public Ed” on Wednesdays!